Over 100 Native community development financial institutions (CDFIs), banks, and credit unions gathered in Polson, MT, at an event organized by the Center for Indian Country Development (CICD). CICD’s late-August event was a first-of-its-kind convening of Native American financial institutions (NAFIs). Native CDFIs, banks, and credit unions came together to network, share, and learn more about the many ways NAFIs are building successful investments and relationships in Indian Country. The Federal Reserve Bank of Minneapolis created the CICD in 2015 with a mission to help Native Americans attain their economic development goals. Since then, the CICD has become a vital resource for Native communities. Sharing insights about collaboration and building partnerships—including a new mapping resource. A thread running throughout the event was the power of networks, and how partnerships with communities and other financial institutions make this vital work stronger. The event itself confirmed that it’s important for NAFIs to have opportunities to meet and create a bigger, stronger network that also improves their visibility. Peer learning proved to be a powerful tool. The CICD also introduced a new mapping resource, which shows the location, size, and financial information of NAFIs across the United States. The resource helps continue to strengthen the network. Explore CICD’s mapping tool for connecting with NAFIs. During the event, attendees discussed what’s important when attracting new partners. Two ideas were highlighted: advocating for continued funding and sharing how working with local banks can help stabilize the local economy. Also important: the significance of relationship building in Native communities. 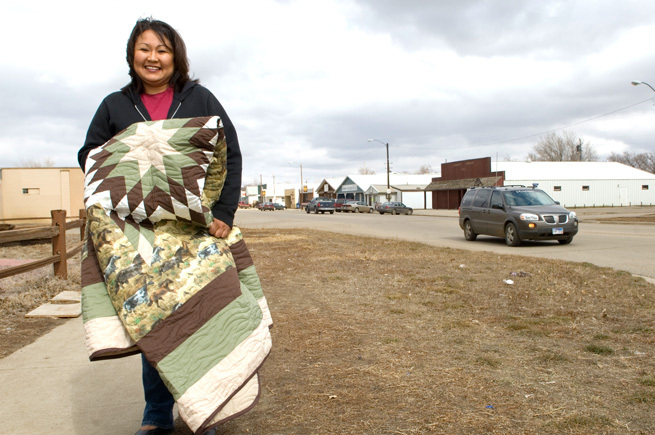 When Native-led financial institutions engage with their communities, deep relationships form. Strong relationships produce strong performance and lead to stronger institutions. Relationships make Native CDFIs strong. Among NAFIs, Native CDFIs stand out for their commitment to deep relationships and effective strategies for building trust in Native communities. Native CDFIs weave together partners, funding, and networks to help Native communities prosper and thrive. They’re close to the ground, have a laser focus on providing loans and credit that support Native entrepreneurs and businesses, and help create opportunities for communities to prosper. Because of their deep cultural ties and knowledge, Native CDFIs are uniquely poised to build trust, leading to stronger relationships based in understanding. Trusted relationships become long-lasting relationships, making investments secure for the long term. The result is a deeper impact that’s sustainable for building generations of sustainable wealth in Indian Country. Reflecting on the depth of NAFIs’ impact. We’re funding NAFIs—Native CDFIs in particular—which are one of the most-effective allies we could have for growing economic opportunity in Native communities.